Talk about reaching, that is exactly what Memphis is doing here. If Hasheem Thabeet is the second pick in the draft, it is a weak draft. Thabeet was not overly dominant at UConn. His strength, while improved leaves a lot to be desired. Memphis is in a difficult situation because nobody wants to play there. If they draft Rubio, heâ€™ll go back to Spain. So they make the mistake of going for size as many before them have. 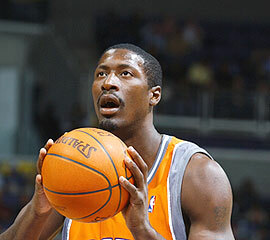 My prediction for Thabeet is that he becomes Michael Olowakandiâ€”a huge bust. Rudy Gay, Marc Gasol, and OJ Mayo are counting the days until they become free agents. I will begin by saying that I love Harden. I love the crew length socks. I love the beard. I love the fact that he could score 20.1 points per game playing in Herb Sendekâ€™s awful offense. But James Harden should never be the number 3 pick in a draft. James Harden will become Michael Dickerson. Oklahoma City will make the mistake of not picking Rubio because they donâ€™t want to hurt Russell Westbrookâ€™s feelings. For Oklahoma City this is an epic failure. With Rubio setting up Jeff Green and Kevin Durant, Oklahoma City is on their way to becoming a future force to be reckoned with. Drafting Harden will put Oklahoma City squarely on the market for a new shooting guard within 3 years. Another epic failure, but this is what we now expect from former Executive of the Year Geoff Petrie. Petrie is still living off of the Mitch Richmond for Chris Webber trade, and he needs to do something to prove to me that he still has the ability to build a contender. This pick will not do that for Petrie. Another team mistakenly passing on Rubio, and in that a team that clearly needs a true point guard. Curry is really a two-guard with a decent handle. While Curry and Kevin Martin together will give defenses headaches, this pick leaves me scratching my head. When I look at Stephen Curry, I see Juan Dixonâ€”a bench player in the NBA who was elite by college standards. This pick moves the Kings one step closer to Las Vegas. Finally, Rubio comes off the board. People knock his size, strength, and shooting ability, all abilities that can be developed. Rubio is not going to be more than an all star, he will be a superstar. For a team looking for a face to market, Rubio is the solution. Rubio is a good looking guy with the swagger and flair of a street ball player getting New Yorkers out of their seats at Rucker Park. He will take this franchise and put it on the NBA map for the first time since the KG trade. Dwayne Wade said that Rubio will be a star, thatâ€™s enough for me and it should be enough for you. In the Olympics, with Team Spain, Rubio was a leader (something that Rajon Rondo apparently is not). When I look at Rubio I see Jason Kidd, except Rubio is a winner. Minnesota instantly gets an A with this pick, and they are up again at 6. Although we donâ€™t know whether Tyreke Evans actually qualified academically at Memphis, we do know that as a freshman he showed a good handle and a good finishing ability. With Rubio, Evans gives Minnesota two adequately ball handlers. While I donâ€™t think Evans will ever be great, he should be solid. I look at Evans and see him becoming a less talented version of Brandon Roy, the player that Minnesota should have kept before shipping Roy to Portland for Randy Foye. Minnesota canâ€™t improve their A grade with this pick, but they maintain the A by drafting Evans. Another team that is attempting to keep a player happy rather than taking the player that makes the most sense (Johnny Flynn). I would like to talk about Hillâ€™s athleticism and length, but all that I really know about Hill is that he played on an Arizona team that massively underachieved. Hill might become a solid rotation player, but as the seven pick you need more than that. When your point guard likes to wreck mopeds, you need to question whether he is the person that you should be listening to when making a selection. Further, Hill is duplicative of Brandon Wright, Anthony Randolph, and Ronny Turiaff. Best case scenario for Hillâ€”Reggie Evans. Hopefully Hill wonâ€™t take a cheap shot at Chris Kaman. The Knicks need Johnny Flynn. When Chris Duhon is your point guard, you need serious help. The same could be said for almost every other position on the court for the Knicks. Flynn gives the Knicks an athletic one with an NBA ready physique. Flynn is a leader. That Stephen Curry is picked over Flynn is an injustice. Flynn is a born leader and will be able to handle MSG (ask UConn about Flynn and how that 5 OT game ended). I see Flynn as a Dennis Johnson type of playerâ€”a great leader who will do whatever is necessary to win whether itâ€™s scoring or assisting, and being a pest on the ball. Flynnâ€™s play should result in a couple of all star games with or without the player that the New York media has been begging for since Zach Randolph and his contract left town. Good pick for the Raptors and one that is all about upside. Holliday is really a combo guard and with Calderonâ€™s history of injury, itâ€™s a good fit for the Raptors. Holliday was saddled by a bad situation at UCLA. Much like Herb Sendek, Ben Howland runs an offensive set that is painful to watch. Holliday will excel at the NBA level and leave Bruins fans wondering why Howland let Darren Collison handle the rock last year. I look at Holliday and see a break out candidate who should become this yearâ€™s Russell Westbrook. Young Money to Milwaukee, I canâ€™t think of a bigger disaster. Scott Skiles coaching Young Money is another epic failure. Young Money definitely has stones and a swagger, calling out Rubio was a questionable decision. Moreover, Young Money could not qualify at Arizona when it seems anyone can qualify these days (ask Memphis, the University of). Milwaukee definitely needs an upgrade at the position as Luke Ridnour is a poor manâ€™s Steve Blake (as Nate has previously pointed out). Young Money sounds a lot like Dajuan Wagner to me. My feelings on Hansbrough are well documented. Despite his better than advertised athleticism at the combine, Hansbrough has bust written all over him. Rather than rehash what was previously written, I will just say that Hansbroughâ€™s peak is Sam Bowie, and that might be an injustice to Sam. I look at Terrence Williams and I wonder why teams are so high on a guy that used to use a Barbie backpack in high school. In fact, this year Williams apparently decided that High School Musical would be a good backpack to use. Honestly, I donâ€™t even know what to say about Williams. Again, the pick leaves me scratching my head, as the idea of Larry Brown coaching Terrence Williams seems like another epic failure. I understand that AI and Larry Brown worked out well but AI was tough and certainly wouldnâ€™t be using a Barbie backpack. Williams reminds me of another Pitino playerâ€”Ron Mercer. 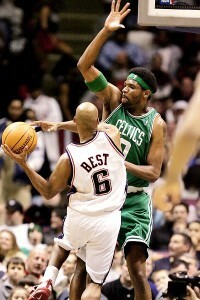 We all know how well Ron Mercer worked out for the Celtics. With the point guards remaining on the board, Larry Bird again shows that he was much better on the court than he is in the draft room (Shawne Williams). Although the Granger pick was a good one, the selection of Teague is not. Teague wasnâ€™t a true point at Wake Forest and he really isnâ€™t a winner. The Wake Forest team slid faster that Ryan down a slippery slide. Teague will be forced to play a position that he canâ€™t and will wind up just like another player forced to play a position that he canâ€™tâ€”Acie Law IV. I have a feeling that Jarrett Jack and TJ Ford will continue to hold down the point guard position for quite some time. Austin Daye was arguably the worst athlete at the Draft Combine, which sounds like a recipe for disaster in the NBA. Nonetheless, his shooting ability should fair well in the Phoenix lineup. Daye has a lot of upside as he is long, young, and skilled. Daye is a good pick for Phoenix. I think Daye winds up looking a lot like Tayshaun Prince without the defense and a slightly better offensive game. Since this is Joe Dumars, I donâ€™t like DeRozanâ€™s chances. DeRozan is sliding but he has as much upside as any player in the draft. At the end of USCâ€™s season, he showed the immense physical gifts that he has. Unforunately, DeRozan is raw and is going to need to have a top notch work ethic to make any of the utterly ridiculous Kobe comparisons stick. When I see DeRozan I see the second coming of Kedrick Brown. Blair reminds me a lot of Hansbrough because his size allowed him to dominate smaller players in college. In the League, that size wonâ€™t play quite as well. Add questionable knees to the equation and we have all the makings of a bust. I think that Blair is the second coming of Ryan Humphrey. I am not sure where Humphrey is playing right now, and I think we will be wondering where Blair is playing in about 3 years. Lawson is quick and strong, but is undersized. Again with Patty Mills and Eric Maynor still on the board, I think there are better choices. Lawson may appear to be a winner because he played at UNC, but if Greivis Vazquez can get in his head during a Maryland v. Carolina game at Comcast, I wonder what NBA point guards will do to him. 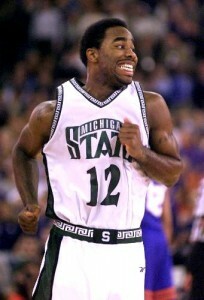 By drafting Lawson, the 76ers have drafted the next Mateen Cleaves. I hear that Cleaves was a good towel waver, perhaps Lawson will be the same. Minnesota continues to kill it in this draft. Clark has slipped far below his talent level. Forwards that can handle and shoot from distance listed at 6â€™10â€ donâ€™t grow on trees. The pick of Clark should make up for the Corey Brewer debacle. Clark reminds some of Lamar Odom, but he reminds me of Hedo Turkoglu who also slipped to 16 and has outperformed his draft position. The Hawks need cap space and donâ€™t want to pay someone to play now. Atlanta also has a penchant for making terrible draft picks. With the addition of Crawford and the impending signing of Mike Bibby, they have enough guards. Adding Calethes gives them a point guard for the future. Unfortunately, their past draft picks show that this pick likely wonâ€™t work out so well for them. 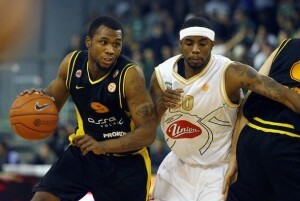 Calethes will play in Greece and later return to the States to be the second coming of Beno Udrih. Sam Young is a solid pick for a team that is known to make solid picks. Young is the second coming of Ronnie Brewer for the team that already has Ronnie Brewer. We all know how well Duke kids work out in the NBA and I donâ€™t think Henderson will be any different. Henderson slides quite a bit in this draft, and it is deserved. Henderson doesnâ€™t stand out in any one area but appears solid until you remember that he has a Duke pedigree. I know that it is clichÃ©, but I will compare Henderson to another Duke playerâ€”Dahntay Jones. Henderson should bounce to and from the D-League until he learns that he will need to play dirty to make it in the league. Ultimately, Hendersonâ€™s peak will be a defensive specialist off of the bench. James Johnson would have been a better pick, but he apparently likes to talk trash to Chris Paul and that doesnâ€™t sit to well with the team leader. Casspi is known to be a tough player. Omar appears to be a good addition for a team that starts a Frenchman, and therefore weak player, Batum at the three. I would like to try to compare Casspi to someone but itâ€™s difficult. I think he has a chance to be a steal on the level of Kirilenko or a bust on the level of Skita. Despite the loser tendencies of last yearâ€™s Wake Forest basketball players, this is a solid upside pick. If Johnson can get it together upstairs, he has the chance to be an Artest like player who is strong and can defend a lot of positions. The Kings desparately need toughness with players like Spencer Hawes on the roster and Johnson adds it. If they hadnâ€™t taken Curry earlier, I would say that the Kings could be on the verge of turning the corner. A great pick for Dallas. Kidd is a free agent and Maynor brings an elite talent to Dallas. Anyone who forgot the dagger that he threw at Duke as a sophomore should rewatch the clip now. Maynor has stones and is a complete player. Although his shooting isnâ€™t elite, it is passable and with the speed, quickness, defense, vision, and penetrating ability Maynor brings to the table he should have been off the board at least 14 picks earlier. Dallas nabs a steal here as Maynor will develop his jumper and compares well to Jameer Nelson. 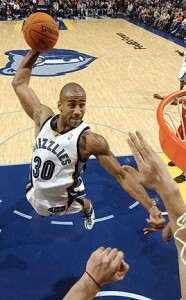 Like Nelson, I think Maynor will make an all star team before his career is over. The Thunder decides that they will select Hardenâ€™s teammate Pendergraph and bring both to oil country next year. At this point there isnâ€™t a whole lot of talent left so itâ€™s difficult to question the pick. Pendergraph appears to be the second coming of Donnell Harvey, so he should have a career waiting for him overseas. A few years ago Budinger was a lottery pick. The athleticism and shooting ability are still there, yet questions abound because he never dominated at the college level. I view Budinger as another Courtney Alexander, a college player that many believe is ready to play, but will flame out in a few years. Budinger could surprise as he has the upside of a Mike Miller if he can put it together. While John Thompson III has an offense that would hurt any college player, Summers never impressed. Teams like his shooting ability and athleticism. Memphis will take him to replace free agent Hakim Warrick whose free agency makes him the envy of Rudy Gay, OJ Mayo, and Marc Gasol. 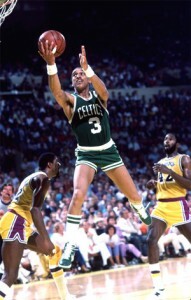 Summersâ€™ shooting ability might enable him to have a Walter McCarty type career, meaning underwhelming. I donâ€™t know of too many players from Sweden, but Minnesota canâ€™t put four rookies on the roster. My best guess is that Jerebko ends up like Sergei Monia, youâ€™ve probably never heard of him. This is a steal for the Lakers. Douglas can flat out play. He might not have a position but he can stroke it and get to the rack. His brother Harry Douglas plays for the Atlanta Falcons. Toney is tough and he will bring that toughness to the League. I think Douglas has a solid career like former late first round pick Kevin Martin. The playoffs showed us that the King needs help, but he is unlikely to get any help here. The Cavaliers go for need and decide to take BJ Mullens, a project in the truest sense of the word. At least they didnâ€™t take Mullens in the lottery because he smells like Robert Swift. Guaranteeing that Ricky Rubio will ascend to super-star status, huh. That’s quite a claim. So in five years, assuming he’s playing in the NBA by then, can we pass judgement on his place in the annals of basketball history? Since you’re putting your cred on the line, I’ll go out on a limb too. I’m calling Sam Young, Rookie of the Year. 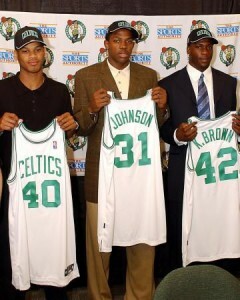 I can’t believe he slipped from #20 in your draft to #36 in the actual draft. If the Grizzlies can figure out a way to get him and Rudy Gay on the court at the same time, look out. In 5 years, Ricky Rubio will still be younger than Sam Young was on Draft Day. That’s correct. How very mathematically astute of you. So are you implying that because of his age, Ricky Rubio isn’t ready for the NBA and that The Association should in turn increase their age restriction so that kids like Rubio are better prepared to play with the men of the NBA like the 24-year-old Sam Young and the 30-year-old Baron Davis? And if five years isn’t enough time to gauge whether Rubio has in fact attained superstar status, how long do we have to wait? 10 years, 15? I can’t believe the amount of Duke-hate that is splattered throughout this article? I want to be the first to suggest that we keep a running tally of how many times Ricky Rubio gets crossed-up & a video linked to each cross-over. What kind of name is Ricky Rubio? It’s like being named Diamond Foxxx.